From TV Animation One Piece: Grand Battle! From TV animation One Piece: グランドバトル! From TV Animation: One Piece Grand Battle! is a 3D Fighting game, developed by Ganbarion and published by Bandai, which was released in Europe in 2003. 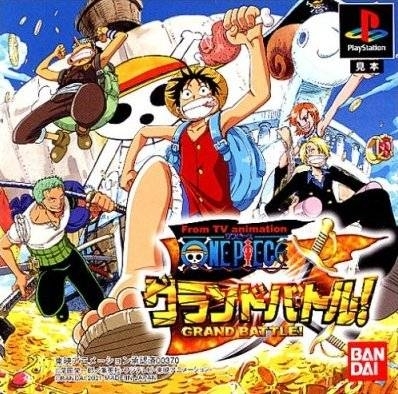 I guess in ways One Piece sort of became the next Dragon Ball in Japan. But seeing how the Dragon Ball games used to sell way better than any anime-based games then, and now, I'm not sure Dragon Ball even has a successor yet.